Sebastian Vettel claimed Max Verstappen tried to "push when he shouldn't" when the two made contact at the Japanese Grand Prix on Sunday. Despite starting eighth, Ferrari driver Vettel climbed to fourth and attempted to go down the inside of Verstappen, who had already been issued a five-second time penalty for returning to the track unsafely and blocking Kimi Raikkonen after overrunning a chicane, at Spoon on lap eight. The German span out and fell all the way down to 19th, only recovering to take sixth as Lewis Hamilton won to open his advantage at the top of the drivers' standings to 67 points and close in on a fifth title. 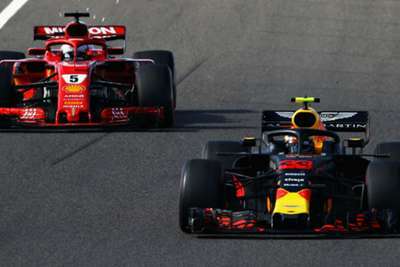 Verstappen also left the track following the incident but still took the third step on the podium behind Valtteri Bottas, with Vettel left feeling like he was the victim of an irresponsible move from the Red Bull driver. "I was pushing to get past. I wasn't desperate to get past. I knew he had a five-second penalty. The gap was there, but as soon as he saw me, he defended, but I had the inside. In my opinion, he tries to push when he shouldn't," Vettel told Sky Sports. "Look at the incident he had with Kimi. It's not always right the other guy has to move. "I got through the whole field without any trouble. You need to always leave a space. In that case I couldn't go anywhere. "I don't regret the move. With hindsight it's always easy. His battery was clipping, mine was boosting. He didn't give enough room and we touched." Verstappen took a different view of the collision, though. He said: "You can't overtake on that corner. I gave him enough space." Race stewards took no action against either driver. 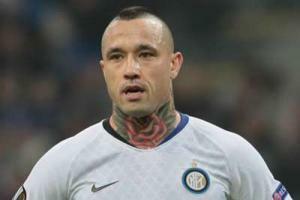 Inter star Radja Nainggolan is keen to get a win over Serie A champions Juventus on Saturday to help them achieve their goal this season.